The third-ranking House Democrat, who in 2016 was in charge of getting fellow Democrats elected, admitted in a recent interview that he was completely unaware of an ongoing House race. 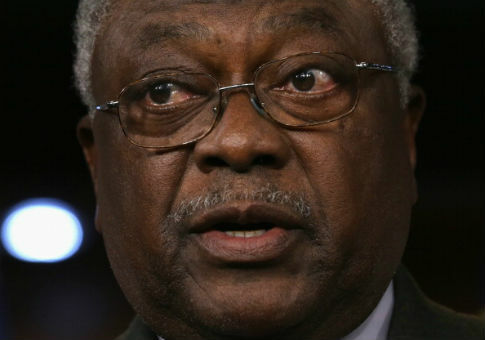 South Carolina Rep. Jim Clyburn, the assistant House Democratic leader, was asked by the Huffington Post if the Democratic Congressional Campaign Committee plans to get involved in the special election for Montana's at-large seat. "Montana special election?" responded Clyburn, who served as the DCCC's national mobilization chair in 2016. "Somebody nearby" then told Clyburn the race was to replace Republican Rep. Ryan Zinke, who vacated his seat earlier this year to become President Trump's secretary of the interior. "Oh, I didn't know about that," Clyburn said. Clyburn's job as national mobilization chair was to "oversee the DCCC's efforts to mobilize and engage voters" and to "[ensure] key Democratic constituencies are organized, energized, and well-equipped as part of a state of the art voter contact effort." Most analysts expect Republican candidate Greg Gianforte to win when Montanans vote on May 25. But Democratic candidate and popular banjo musician Rob Quist insists the race is winnable, citing his name recognition and large crowd sizes. Gianforte failed to defeat Democratic incumbent Steve Bullock in the 2016 gubernatorial race, even as Trump easily won the state. Still, the DCC has not bothered to even run ads in the state. By contrast, the Republican House leadership-affiliated Congressional Leadership Fund has purchased a $700,000 ad buy supporting Gianforte. This entry was posted in Politics and tagged DCCC, Jim Clyburn, Montana. Bookmark the permalink.